Get to know The Stereotypes right away! They recently received 3 GRAMMY® nominations in the categories of Song of the Year and Best R&B Song for their work on Bruno Mars’ six-times platinum, #1 Billboard Hot 100 song “That’s What I Like” and Producer of the Year, Non-Classical for their work with Bruno, KYLE, Iggy Azalea, Lil Yachty, Fifth Harmony and more. The four-piece also just teamed up with Pitbull to release a song together – “Jungle” by Pitbull & Stereotypes ft. E-40 and Abraham Mateo (via Mr. 305/Polo Grounds Music/RCA Records). They also produced and co-wrote the track. PRESS HERE to listen. In other news, The Stereotypes also produced KYLE’s current single “Sunshine” ft. Miguel, which is the official song for ESPN’s 2017-2018 college basketball coverage. 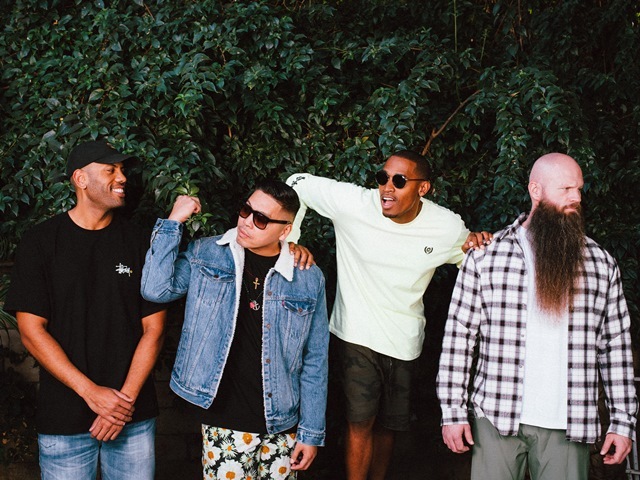 The Stereotypes’ other credits include Mary J. Blige, Justin Bieber, Chris Brown, Ne-Yo and Far East Movement, who were signed to their production company The Stereotypes Music via Interscope Records. Given The Stereotypes’ melting pot of both cultural backgrounds (Asian, Haitian, African-American, Samoan, and Caucasian) and musical genres, the collective is a perfect representation of the diversity that is being celebrated in this year’s GRAMMY nominees. 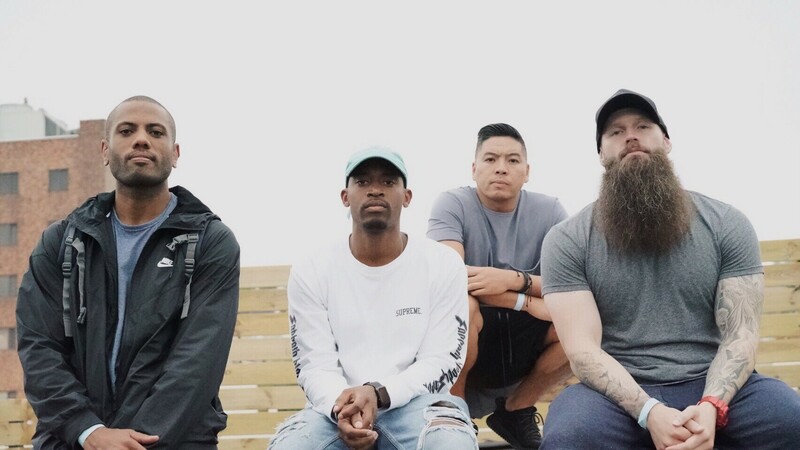 The Stereotypes are: Jonathan Yip, Ray Romulus, Jeremy Reeves and Charm. Thanks for your time for this All Access interview! Where does this interview you today? CURRENTLY WE ARE IN MIAMI IN SESSIONS. WE ARE WORKING ON A SONG WITH AN ARTIST NAMED ABRAHAM MATEO. What is one song that you are all loving right now? MC FIOTI “JOGO O BUM BUM TAMTAM” IS ON HEAVY ROTATION WITH US! How did this team first come together? WELL, ITS KIND OF A LONG STORY, BUT WE STARTED IN 2003 WITH JEREMY AND I WHO ARE BOTH FROM SACRAMENTO. I WAS LIVING IN LA WORKING AT INTERSCOPE RECORDS AND JEREMY WAS WORKING AT GUITAR CENTER. I WENT TO SACRAMENTO FOR A RANDOM VISIT AND WENT TO GUITAR CENTER TO PICK UP SOME GEAR WHEN JEREMY OVERHEARD THAT I WORKED AT INTERSCOPE AND WAS LOOKING FOR A DISCOUNT. JEREMY THEN CAME UP TO ME, SAID HE MADE BEATS AND ASKED HOW CAN HE GET PUT ON. HE PLAYED ME DOPE STUFF AND TEAMED UP SOON AFTER. WE HAD AN ARTIST THAT WE TOOK TO NEW YORK TO GET A RECORD DEAL WHERE RAY WAS AN A&R AT DEF JAM. HE ENDED UP SIGNING HIM, BUT UNFORTUNATELY DIDNT HAVE MUCH SUCCESS. LUCKILY WE WERE ABLE TO BUILD A GREAT RELATIONSHIP THROUGH THAT PROCESS AND STARTED MAKING MUSIC TOGETHER. WHEN RAY GOT LAID OFF IN 2007, HE SAID HE WANTED TO MOVE TO LA AND RECOMMENDED WE JOIN FORCES AND TRY TO TAKE OVER. SHORTLY AFTER, I MET CHARM IN 2010 WHILE HE WAS LIVING IN SACRAMENTO. HE JUST QUIT HIS JOB WORKING AT THE CAPITOL TO MAKE MUSIC HIS FULL TIME JOB. I ASKED HIM FOR 10 OF HIS BEST BEATS AND ONE OF THOSE ENDED UP BEING A PLACEMENT FOR TANK FEATURING DRAKE, “CELEBRATION.” AND WE BEEN ROCKIN EVER SINCE. Can you recall the moment when you all thought you could work together? NO, IT ALL HAPPENED SO ORGANICALLY AND IT’S HARD TO PINPOINT AN EXACT MOMENT, ESPECIALLY SINCE WE ALL LINKED UP AT DIFFERENT TIMES. Was it hard to come up with a name that you could all agree on? NO, WE CAME UP WITH STEREOTYPES BACK IN 2003, SO THE NAME WAS ALREADY SOLIDIFIED BEFORE MOST OF THE MEMBERS. How did you come up with the name, Stereotypes? ORIGINALLY IT WAS SUPPOSED TO MEAN THE “TYPES” FOR YOUR STEREO, BUT NOW AS THE TEAM STARTED COMING TOGETHER AND THE LOOK AND BRAND FORMED, IT HAS TAKEN ON A SLIGHTLY DIFFERENT MEANING. NOW WE ARE A MELTING POT FOR OF DIFFERENT CULTURES AND UPBRINGINGS. OUR MISSION IS TO NOT PIGEON HOLE OURSELVES INTO WHAT YOU MIGHT THINK WE WOULD “STEREOTYPICALLY” MAKE IN MUSIC. How does 2017 compare to last year? WOW, SO DIFFERENT. ALTHOUGH, IN 2016 WE HAD A LOT OF COOL THINGS HAPPENING FOR US AND THE MOMENTUM WAS HEADING IN THE RIGHT DIRECTION, IT WAS STILL A STRUGGLE. WE HIT A VERY ROUGH PATCH FOR A FEW YEARS AND ITS BEEN SO HUMBLING TO BE IN THIS POSITION WE’RE IN NOW. What all are you most excited about for 2018? WE’RE MOST EXCITED TO KEEP EXPANDING. WE ARE VERY FORTUNATE THAT ARTISTS WANT TO WORK WITH US AND WE WANT TO TAKE ADVANTAGE OF THAT. TRAVEL MORE, SEE MORE, EXPERIENCE MORE. Will any of you make New Year’s Resolutions? GO HARDER THAN LAST YEAR. Congratulations on the 3 Grammy nominations that you received last week! Are you now excited to attend the Grammys this year?! THANK YOU SO MUCH! YES, WE ARE DEFINITELY EXCITED TO ATTEND. ITS AN HONOR TO BE RECOGNIZED FOR ALL THE HARD WORK THAT WE HAVE BEEN PUTTING IN. EXPERIENCING THE HARDSHIP DURING THE DOWN TIMES FOR US, MAKES US APPRECIATE ALL THAT COMES WITH THE GOOD TIMES! Can you talk about what it was like making Bruno Mars’ six-times platinum hit song “That’s What I Like”? THIS WAS A GREAT TIME! WE HAD SO MUCH FUN AND WERE HAPPY TO BE IN THE ROOM. WEVE KNOWN BRUNO, PHIL, BRODY AND JAMES FOR OVER 10+ YEARS, SO WHEN WE GOT BACK IN THE STUDIO IT WAS LIKE NO TIME HAD PASSED. IT WAS LIKE A PARTY THE WHOLE TIME! I am curious to know what your process is when it comes to working with artists and creating music for them and with them? Do you have a specific method to approach it all? Or does it just depend on the artist that you are working with at the time? WE DONT HAVE A SPECIFIC METHOD. IT ALL DEPENDS ON THE SESSION AND WHICH ARTIST. SOMETIMES IT CAN BE US BRINGING IN A TRACK THAT WE WORKED ON PREVIOUSLY AND OTHER TIMES WE WILL START FROM SCRATCH. What was it like working with Pitbull on his newest track, “Jungle”? How did the song come together? Have you been wanting to work with him? MAN, PITBULL IS SO DOPE! PERSONALLY AND MUSICALLY. HE REACHED OUT TO US AND WANTED TO WORK AND OF COURSE WE WERE DOWN. WE CALLED OVER OUR FRIEND COFFEE TO SEE IF HE COULD HELP WITH SOME HOOK IDEAS AND HE KILLED IT. EVERYONE IN THE ROOM WAS GOING CRAZY. PITBULL KILLED HIS VERSE THEN WE GOT ABRAHAM MATEO AND E-40 ON IT TO COMPLETE THE RECORD. GREAT TIMES! Who has been a favorite artist to work with so far? I’D HAVE TO SAY BRUNO. HE’S A ONCE IN A GENERATION ARTIST WHO DOES EVERYTHING FROM SING, DANCE, WRITES AND PLAYS INSTRUMENTS, ETC. I THINK IT WOULD BE DOPE TO WORK WITH JUSTIN TIMBERLAKE. I FEEL LIKE WE COULD MAKE SOME FUN STUFF. LETS CHANGE IT UP A LITTLE AND SAY PETER HERNANDEZ. We are living in a crazy and at times rough world right now so I am curious how you think being on this team gives you the most joy in life today? IT’S AWESOME TO BE ABLE TO CREATE SOMETHING THAT CAN HELP CHANGE SOMEONES MOOD, ESPECIALLY IF THEYRE HAVING A ROUGH TIME. OF COURSE, ITS ONLY NATURAL. ARTISTS LIKE TO WRITE AND SING ABOUT WHATS GOING ON IN THEIR LIVES. WE JUST WANT TO EVOKE EMOTION WHETHER ITS HAPPY OR SAD, BUT IN GENERAL WE LIKE TO HAVE A GOOD TIME, SO WE USUALLY LEAN TOWARDS FUN RECORDS. WHEN YOU HANG OUT WITH US ITS A PARTY. An Interview With the London-Based Neo Soul Singer-Songwriter, CHLOE BODUR!